Over the years, the demand for fuel-efficient vehicles has been growing, continually. Automotive manufacturers have always focused on the same by reducing weight wherever possible, which is considered to be a good technique in decreasing the fuel consumption. One such area where weight reduction is popular is steering system, in which bulky mechanical parts are replaced with light-weight electric parts (motors, sensors, etc.) that reduce the vehicle’s weight while providing a comfortable steering pleasure. Currently, India follows BS IV norms that allow emissions of 0.74 g/km of CO & 0.39 g/km of NOx for light-duty diesel vehicles and 2.27 g/km & 0.11 g/km for light-duty petrol vehicles. This has forced steering system manufacturers to introduce new technologies that can reduce the systems’ weight, which directly results in lesser emission. This requirement has pushed the market from hydraulic or mechanical steering systems to electric power steering systems which consists of lesser mechanical parts that reduce the weight and decrease emissions from vehicles. 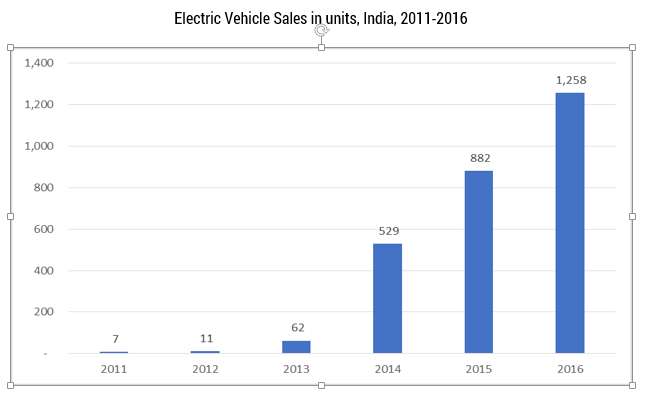 India is moving towards becoming an all-electric vehicle country and in support to this the government has introduced various schemes for faster adoption and manufacturing of electric and hybrid vehicles in India under the National Electric Mobility Mission 2020. This move by the government is expected to encourage the progressive induction of reliable, affordable, and efficient electric and hybrid vehicles in the country. Electric and hybrid vehicles have an extensive range of features, which include a mandatory electric power steering. Therefore, the growth of electric vehicles is expected to significantly help augment the growth of the electric power steering market. However, the substantial costs associated with these sensors and other electric parts might pose a threat in the adoption of these systems. Rack-assisted EPS is projected to be the fastest growing market segment, due to the increasing installation rate of electric power steering in commercial vehicles, as R-EPS is mostly used in heavy commercial vehicles. A growth in the e-Commerce sector and other, such as movers and packers sectors, along with the growing population, has increased the pace of logistics in the country, which, in turn, has paved a way for public road transportation in, both, intra and inter cities. These factors have, consequently, driven the demand for commercial vehicles, like trucks and buses, which, in turn, is propelling the production of the same. The market study on electric power steering or EPS is segmented by type of EPS (column type electric power steering, pinion type electric power steering, dual pinion type electric power steering, and others), component (steering wheel and column, sensors, and motors), and type of vehicle (passenger cars and commercial vehicles). Major Players: JTEKT, Rane group, Nexteer, Robert Bosch GmbH, and ZF India, among others.